Good news for Android users! If you love Adventures in Odyssey and are waiting for an AIO app in which you can listen to episodes as they air daily, wait no longer. 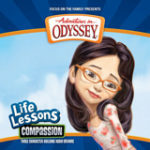 Android’s mobile users can now download the Adventures in Odyssey Audio Player app on Google Play. It’s all part of AIO Wiki’s efforts to bring Adventures in Odyssey to fans at an easily-accessible level. In addition to streaming the latest shows, users of this new app can access additional free episodes and podcasts. Of course, if i you’re wondering if our friends at Focus on the Family are planning on getting in on the app bandwagon, planning stages have begun for an official Adventures in Odyssey app. What would this app have to offer Odyssey fans of all backgrounds? Stay tuned! We’ll keep you posted as news develops.